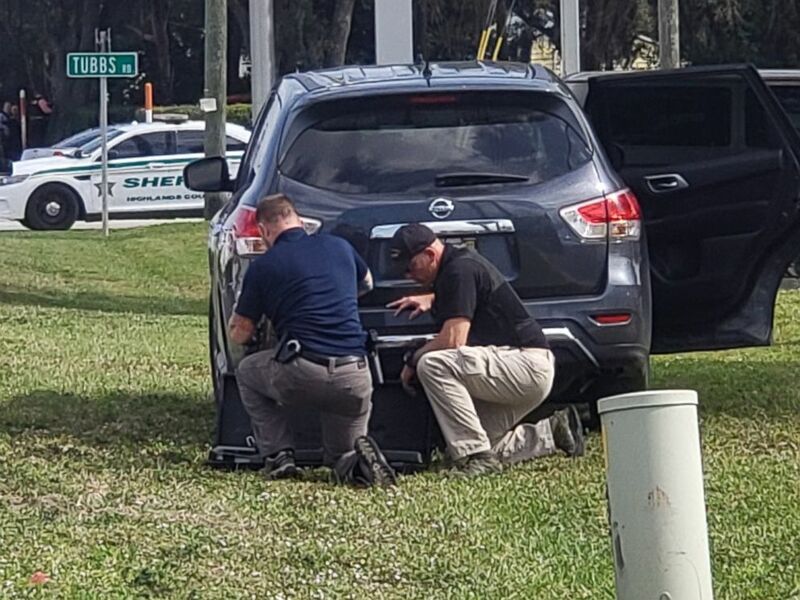 When a 75-year-old man tried to stop by his local SunTrust Bank in Sebring, Florida, he came across a harrowing scene. "I can just see it so vividly," Victor Sparks told ABC News Thursday. "I can just see those bodies laying there." 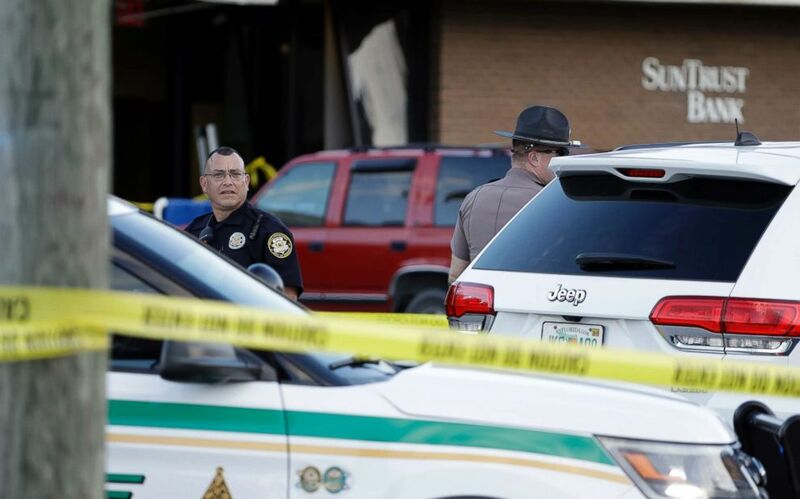 Five people -- all women -- were gunned down inside the bank Wednesday in an apparent "random" mass shooting, police said. The 21-year-old suspect, Zephen Xaver, allegedly called 911, telling dispatchers, "I have shot five people." It was after Xaver allegedly stormed the bank, but just before the shootings, when Sparks tried to open the bank door. Sparks said it was locked, so he peered in -- and that's when he saw four or five people lying on their stomachs in the lobby. One person was standing and "just sort of pacing back and forth behind them," he said. Sparks was walking back to his car when he said he heard "two loud bangs." Sparks later learned "those were probably the first two shots," he told ABC News on Thursday. Sparks' wife, who was waiting in their car, asked him why he didn't go in the bank. Sparks said he replied, "Either there's a drill or there's a robbery... we've got to call 911." He said police arrived about 90 seconds after their call. "I'm so thankful for the fast response," Sparks said, crying. 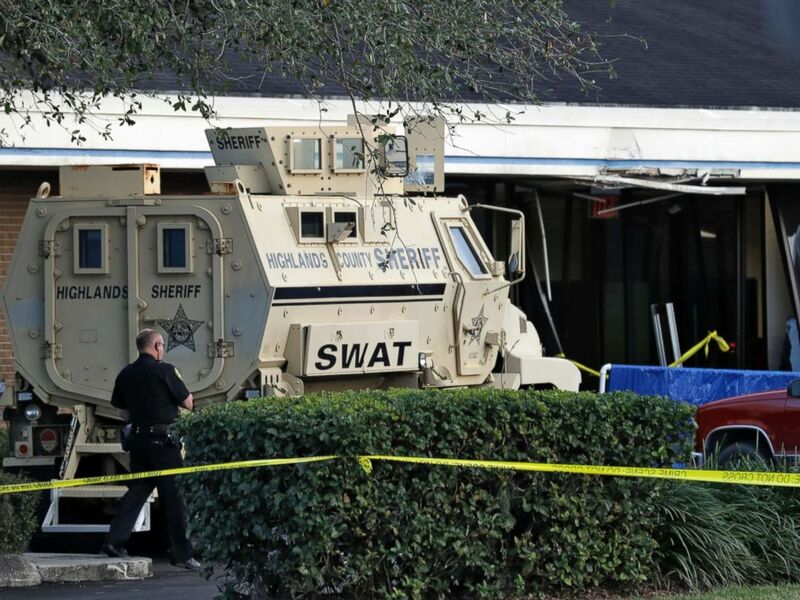 A Sebring, Fla., police officer stands near a Highlands County Sheriff's SWAT vehicle that is stationed in front of a SunTrust Bank branch, Wednesday, Jan. 23, 2019, in Sebring, Fla.
Sparks and his wife, Deanna Sparks, had planned to get to the bank earlier but were delayed by other errands, they told ABC News in an earlier interview on Wednesday. "Had we gotten to the bank a little sooner, I could be a widow right now," Deanna Sparks said. 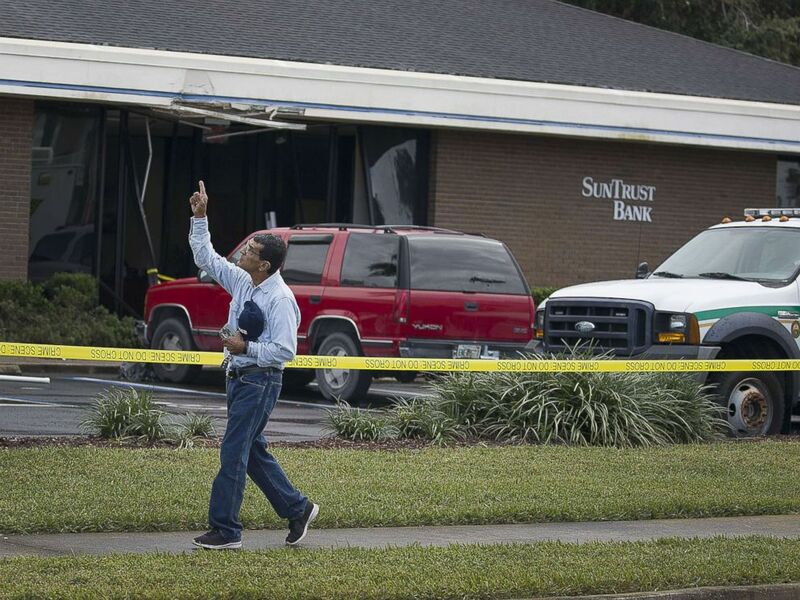 Jose Sanchez points to the sky as he walks in front of the SunTrust Bank branch where he said his friend was killed yesterday along with four other people on Jan. 24, 2019 in Sebring, Fla. Customer Cynthia Watson and bank employees Ana Piñon-Williams and Marisol Lopez were identified as three of the victims. The families of some victims requested their names not be released, police said. "I know all the people at that bank," Victor Sparks said. "We are praying for all those families who lost their loved ones today and for the parents of that boy who just blew his life away for no reason." "We just wish they could have all been saved," his wife added. The suspect was taken into custody. A motive is not clear. ABC News' Tom Llamas, Scott Withers, Brandon Chase, Rachel Katz and Rachel Humphries contributed to this report.